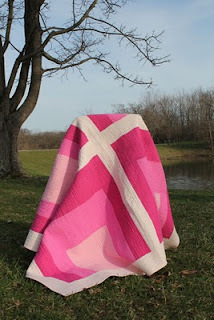 olive and ollie: Anni is in the Modern Quilt Guild Showcase! 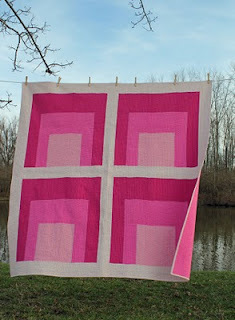 Anni is in the Modern Quilt Guild Showcase! 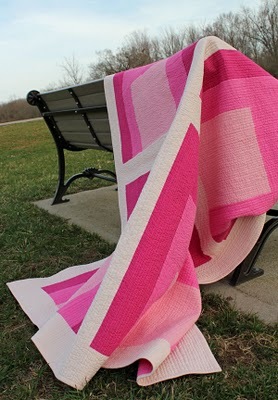 I'm so excited to share with you that my Anni quilt was selected for the Modern Quilt Guild Showcase at the International Quilt Festival this fall in Houston! There were only 33 quilts selected, and I'm so honored that one of my works was included. 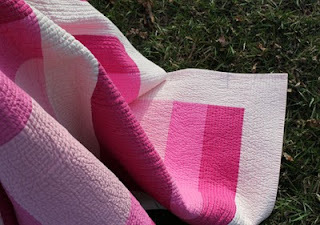 Anni, which was inspired by the work of Josef Albers and was chosen as one of the winners of the Project Modern Monochromatic Challenge, is one of my favorite quilts of all times. I love the simplicity of the design and construction and the four shades of pink are just so fun together. The Modern Quilt Guild Showcase exhibition may also travel to Cincinnati next Spring and then to Long Beach, California next summer for the Quilt Festivals in those cities. 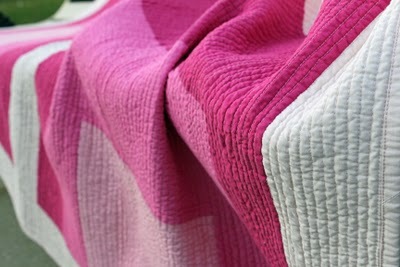 If it does, it will be kind of fun to see my quilt on display in my hometown! So, it looks like I won't see Anni for a while. In fact, she's actually been gone for some time already since she's got some big plans that you'll learn about soon. I may just have to make another one until then. WOWOWOW!! Congratulations!!! This was my favorite quilt showcased in the 100 days series because it inspired me to look to my favorite art pieces for quilting projects! You have such a great talent - I am glad you received this well-deserved recognition! Yippeee.... Anni is going to have fun travelling.